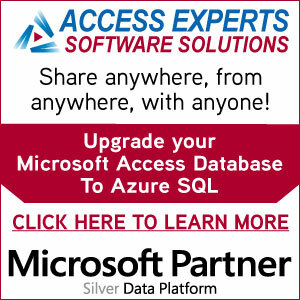 Start your own Microsoft Access User Group! We encourage you to first attend a future meeting of any of the chapters already established. Join the discussion or just listen in and learn more about the topic discussed. Once you have attended one of our meetings and gained a feel for how this works, we encourage you to join a chapter through our Contact Us form. Office365 subscription for each group leader and up to 25 members! Your group will have the E3 plan that includes Office 2013, SharePoint and more. Many possible Access User Groups to choose from! Any other Access related group or language. We are here to help you get started! The possibilities are endless! To get started click here and let us know which Microsoft Access User Group you wish to start, then attend an existing meeting to see how it works.